To determine whether the Modified Checklist for Autism in Toddlers (M-CHAT) in conjunction with the routine 18-month health check-up identifies Japanese toddlers with autism spectrum disorder (ASD). Two-stage screening using the M-CHAT was conducted with 1,851 children attending the check-up. Final ASD diagnosis was confirmed at age ≥3 years. Screening identified 20/51 children with ASD: 12/20 true positives were developmentally delayed, whereas 16/22 false negatives were high-functioning. Sensitivity was 0.476, specificity 0.986, positive predictive value 0.455, and likelihood ratio 33.4 for children with ASD. With a few modifications, M-CHAT screening successfully detected toddlers with ASD with and without developmental delay and is a promising screening tool to complement existing community surveillance. This work was funded by RISTEX (Japan Science and Technology Agency) of Japan. We would like to thank Drs. Deborah Fein and Diana Robins for their invaluable advice on this project and comments about the findings, and Dr. Hisateru Tachimori for statistical advice. 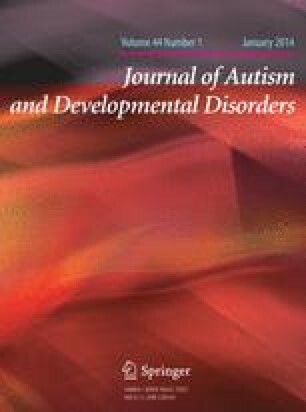 The contents of this paper were presented at the “Exploring Autism Research Collaboration between Japan and United States Joint Academic Conference on Autism Spectrum Disorders” held in Tokyo, Japan, December 1–3, 2011. The authors declare that they have no conflict of interest with respect to this article.